Family Worship Weekend are a time when our services will be more intentionally oriented towards all ages. 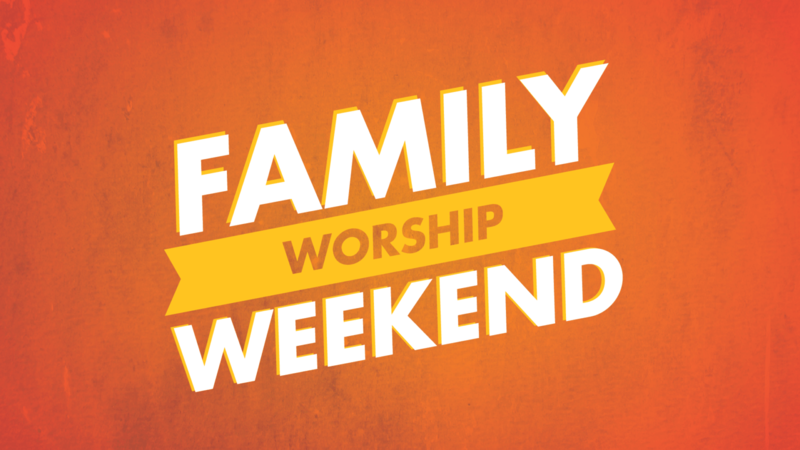 That weekend, we will encourage families with children of all ages to worship together, and we will close down our regular weekend programming, including ministries for children, students, classes for adults, and other gatherings happening on campus, to encourage this to happen. There will be sermon notes and crayons available as you come in. Be sure to pick them up if you think they will help your child engage. By the Lord’s grace, our Family Worship Weekend will be a sweet time for families to worship together and will open the door to deeper conversations. Before coming to worship, talk about the weekend as a special time to celebrate Jesus together. Talk about the expectations you have for behavior during the service, including an expectation to participate. Explain that there are times for singing, listening, for moving, times for sitting still, times for prayer and for reading your Bible. Encourage your children to bring their Bibles to use during the service. A picture Bible or other Bible story books can be looked at during the sermon. For older students you may help them find the passages in their Bibles. Be sure your children have gotten a good night’s sleep. Be sure your children have eaten breakfast. Sundays are a great day to have a special breakfast, to recognize it as a special day. Be sure your child uses the bathroom before the service so you won’t be interrupted by that need during worship. Sit in a location so that your children can see and hear what is happening during the service. If your children have friends that they want to sit with that is great, but be sure parents are sitting with the children.